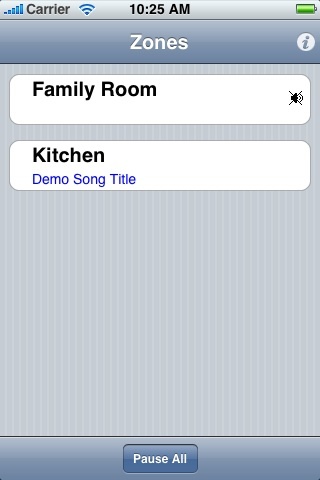 When the application starts up, a list of Sonos zones will appear. For each zone the current state is displayed. It shows the current song playing and if it is muted. For each zone, the user has complete control over the state. 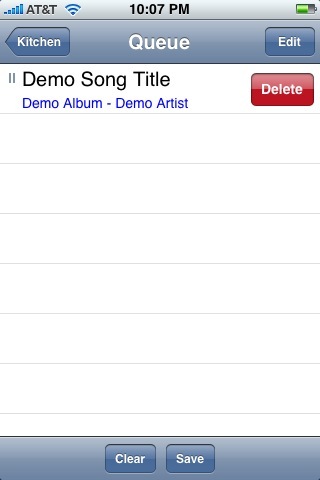 New music can be added or played by selecting the plus key. The queue can be fully edited and the volume is easy to change. The user is taken to the Zone linking screen by clicking on the zone name in the now playing screen. 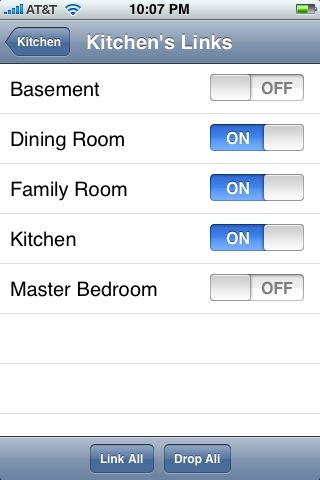 Each zone can then be linked or unlinked by using the switches. 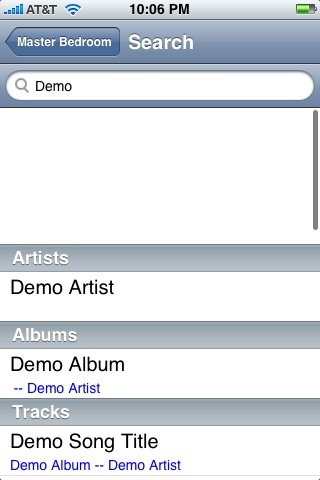 Rearranging and deleting songs from the queue is possible. You can also save the playlist and have it appear in the Playlist section. 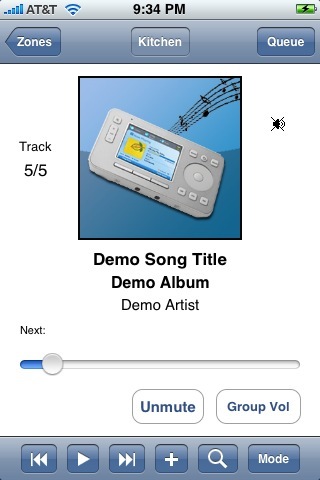 ZoneMaster allows the user to add new items and drill down the Music hierachy in a typical iPhone manor. 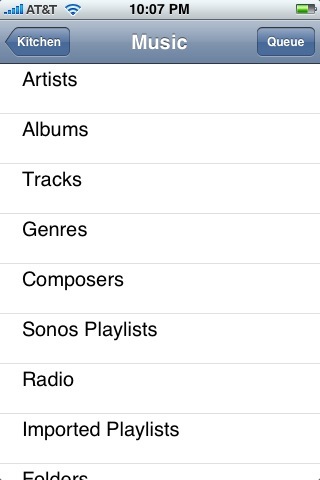 Searching uses the Sonos's search method and automatically shows all the artists, albums, and song results. It is possible to change the play mode. 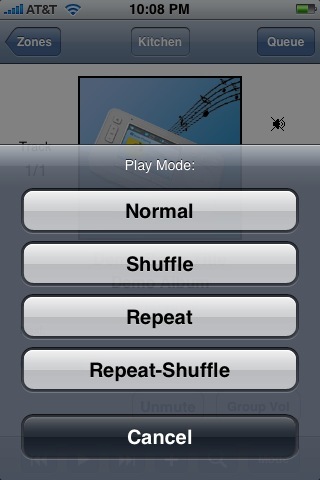 This version supports shuffle, repeat, and repeat-shuffle, in addition to the normal play mode.